Bartlesville has many area attractions, you will see throughout the city, painted buffalo. Whether you are viewing the art at Price Tower Arts Center or strolling through Frank Phillips House, a toothache is the last thing you want to think about. Sadly, you must deal with it and quickly to prevent further complications. Luckily, there are many dentists and specialists in Bartlesville. 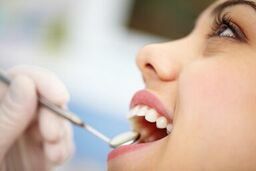 Turn to emergencydentistsusa.com to help you find the dentist for your dental emergency. We have worked to put a list of dentists and dental specialists together for you. All that is left for you to do is go through the list, choose a dentist, and give them a call to set an appointment. If you are in a hurry but want to set an appointment, call our toll-free dentist finder hotline for help. Our team member are there to listen to your needs and help you choose the best dentist or specialist for your issue. We go over the available options and let you know their availability. From there, you tell us which dentist you wish to visit and we will schedule your first appointment for you. We recommend that you arrive 15 minutes prior to your scheduled time so that you have time to fill out paperwork. Bring along your ID, insurance card, and payment method of choice. Bartlesville has many dentists and dental specialists available for you so you do not have to worry about limited options. A few of your choices may include general dentists, oral surgeons, cosmetic specialists, and more. Before seeking an appointment with a specialist, consult a general dentist. They will determine if you have a need to see a specialist and if so, you will be referred to one. Description: Spring Dental strives to provide affordable dental care to you. They provide a full-service general dentistry including services such as fillings, crowns, root canals, extractions, implants, and more. They offer evening and weekend appointments and have convenient payment plans. Description: My Dentist specializes in comprehensive dentistry for the whole family. They strive to provide quality care. The team offers a full range of dental services such as extractions root canals, crowns, bridges, and emergency dental care.Most traditional and PPO dental insurance plans are accepted. They also offer several payment options. Description: Ron Hart DDS works to provide you with the highest quality care in a comfortable environment. The office offers a wide range of services such as general, cosmetic, periodontal, and more. They do not believe finances should stop you from getting care so they accept a variety of payments and work to keep care affordable. They also offer financing through third-party financing. Toothaches can happen at any time, but having one for more than an hour is an indication that you have a serious issue that needs treatment. If the pain you have is from an accident, go to the ER to get treatment first to rule out any serious issues. Before visiting a new dentist, check out their license and credentials. Determine if the are still active and up to date. You can do this by visiting the Oklahoma Dental Association website and searching the dentist’s name. When you go to your first appointment, you may also request to see this information with the receptionist.